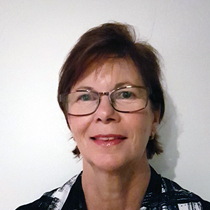 Pauline is one of our Office Administrators and a first point of contact at Riverlands Therapy Services. She occupies the role of front of house receptionist welcoming new and existing clients, taking telephone calls, booking appointments with your selected therapist, or is more than happy to find the most suitable person to assist you from our team. She oversees the smooth running of administrative tasks for our Riverlands clinicians. Pauline has worked in various Customer Service and Administrative roles for over 25 years in both the hospitality and banking industries. Her focus is on providing a first-class customer service to all of our clients and clinicians. Pauline is a local Blue Mountains resident, married with 3 adult children and several grand-children. If the phone-line is busy or briefly unattended, please leave a short message and Pauline will get back to you as soon as possible. Pauline works Mondays and Tuesdays.